The Ladakhi are a Tibetan group, but they have major linguistic and historical differences from their counterparts in Tibet. 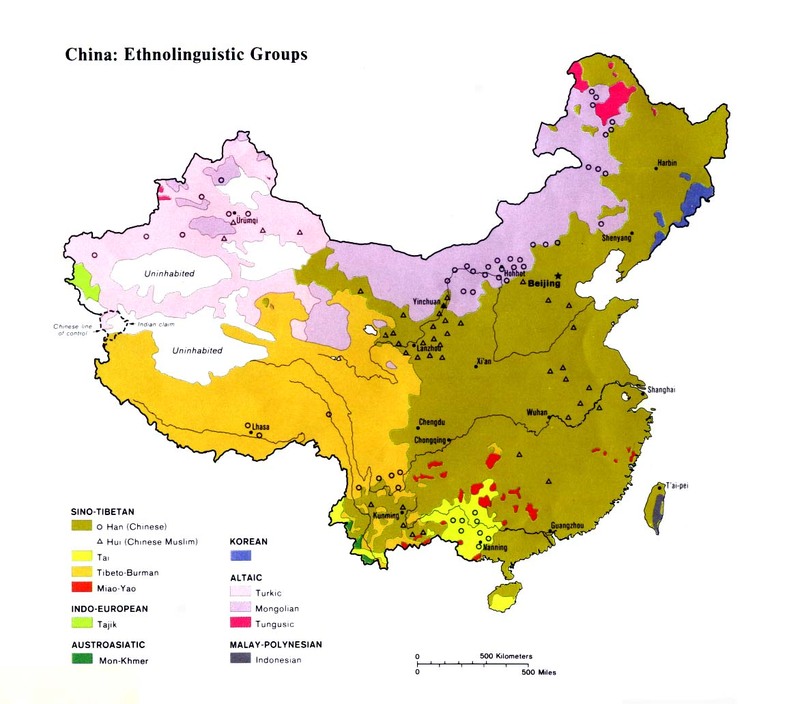 The closely related Nubra people group are also found in China. Leh, the capital of Ladakh, was the home of an independent Ladakhi monarchy for a thousand years. Today a Ladakhi royal family still exists in Leh, but their influence has been merely symbolic since the independence of India in 1947. The Ladakhi royal family trace their lineage back to the legendary King Nya Tri Tsanpo who ruled in the third century BC. Life for the Ladakhi is hard. Hidden away in the highest mountains in the world, the region sees little rainfall - no more than three inches per year. Farmers rely on melted snow to water their crops. Winter temperatures remain constant at minus 30C (-22F). The Ladakhi share the beliefs of their Tibetan neighbors. Tibetan Buddhism, mixed with images of ferocious demons from the pre-Buddhist Bon religion, has been the stronghold in Ladakh for more than a thousand years. Traces of influence from the dark, distant past are found in the demonic masks and reenactments of human sacrifices that make up their festivals. The Ladakhi believe hell is a miserably cold place. The first Christians to the Ladakhi were probably Nestorian traders in the eighth century. Georgian crosses have been found inscribed on boulders in Ladakh. In 1642 a Portuguese priest, Antonio de Andrade, established a base near present-day Zanda. The mission was torn down soon after by the king of Ladakh. 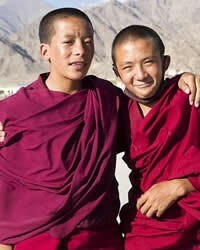 The Moravians commenced work in Ladakh in 1856 and by 1922 numbered 158 converts. They reported, "There is no very active opposition to Christian work. ... The people are very willing to accept anything we can give them in the way of medicine, education, or even Scriptures and religious tracts." Although the Moravians are still working among the Ladakhi in India, there are no known Christians among the small number of Ladakhi in Tibet. View Ladakhi in all countries. Location in Country: The Global Evangelization Movement lists a 1995 population of 2,445 Ladakhi in Tibet. Their inclusion in China was unplanned and outside of their control. Before 1949 all Ladakhi lived in India. 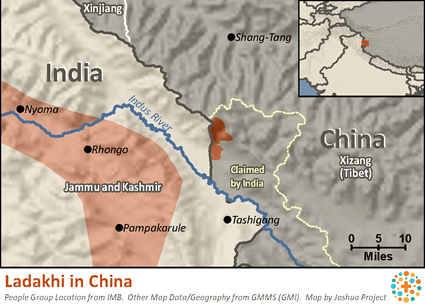 The Chinese invaded northern Ladakh in 1949, annexing 38,000 square kilometers (14,820 sq. mi.) of the Aksai Chin region in remote Himalayan territory. Those mountain passes near the China-India border have claimed the lives of many men and beasts. Bleached human and animal bones mark the trail like signposts at regular intervals. Approximately 100,000 Ladakhi live on the Indian side of the border. The Aksai Chin area is so remote that the Indian government did not discover the Chinese had constructed a road there until two years after it was completed.